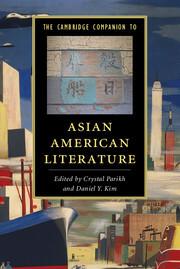 The Cambridge Companion to Asian American Literature offers an engaging survey of Asian American literature from the nineteenth century to the present day. Since the 1980s, Asian American literary studies has developed into a substantial and vibrant field within English and American Studies. This Companion explores the variety of historical periods, literary genres and cultural movements affecting the development of Asian American literature. Written by a host of leading scholars in the field, this book provides insight into the representative movements, regional settings, archival resources and critical reception that define Asian American literature. Covering subjects from immigrant narratives and internment literature to contemporary race studies and the problem of translation, this Companion provides insight into the myriad traditions that have shaped the Asian American literary landscape.